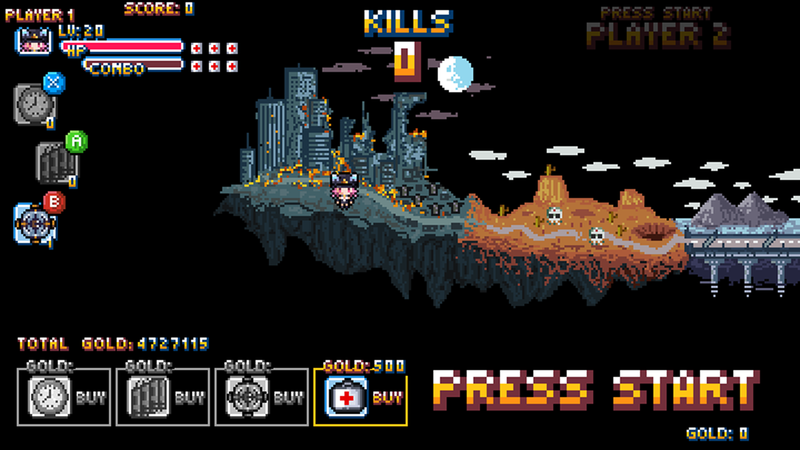 Arcade game 8/16bits. 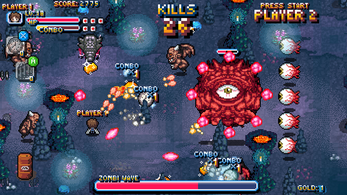 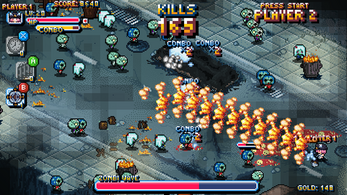 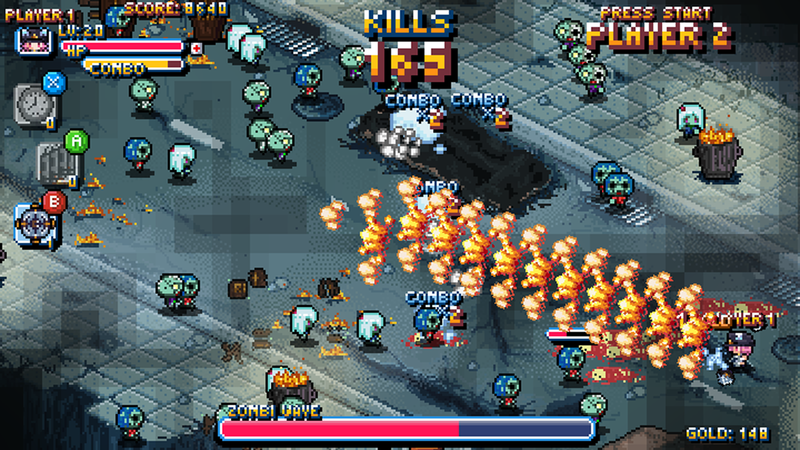 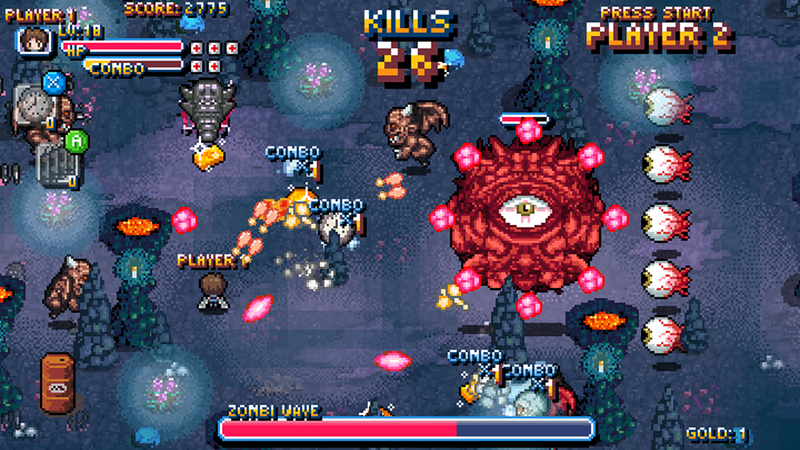 we will have hordes of zombies and all kinds of monsters, all created with love pixel art. 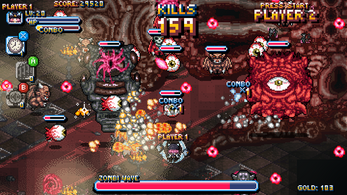 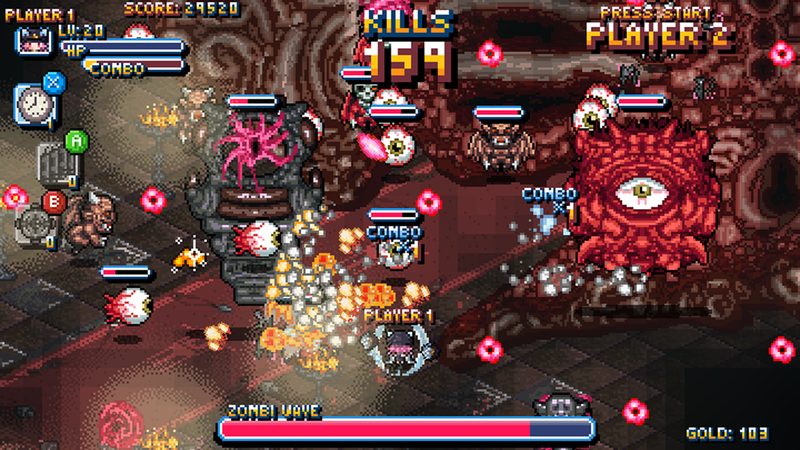 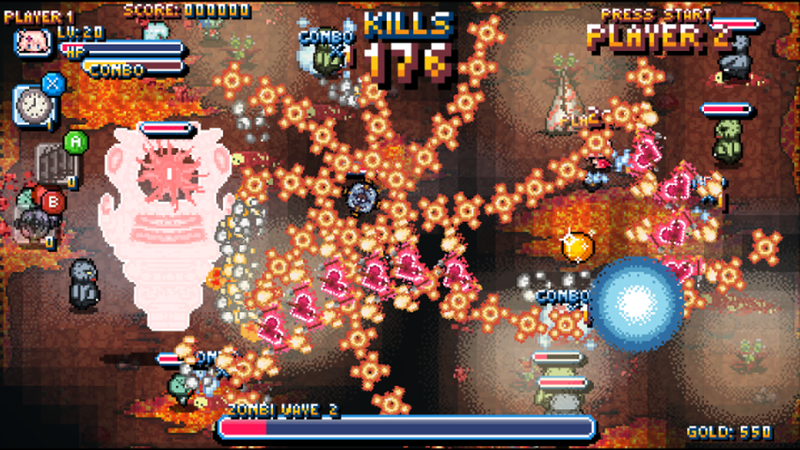 Riddled Corpses have 6 stage,very different from each other, as a city or a desert. 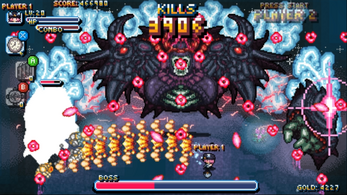 The game has 6 playable characters, each with their type of shooting and special ability. 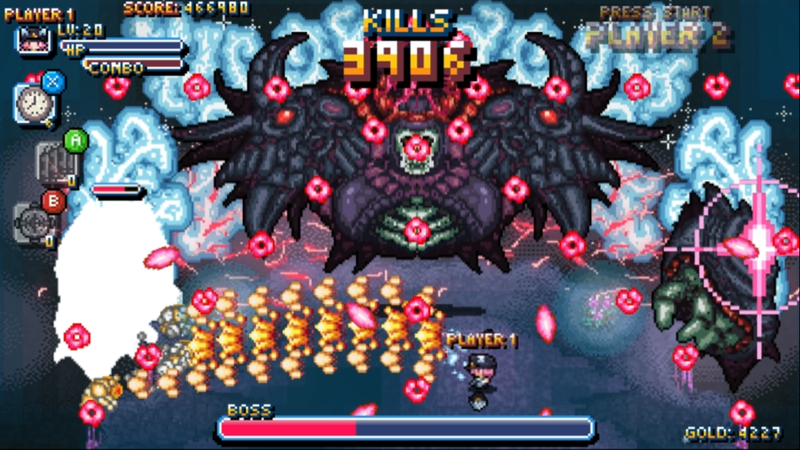 One of the characters is new to this new version (PC).